Artist Choy Ka Fai has been compiling an inventory of Asian dance since 2012. For his multimedia archive and performance cycle SoftMachine, he has collected 88 interviews with dance makers and created four portraits of choreographers who outline their versions and visions of contemporary dance. 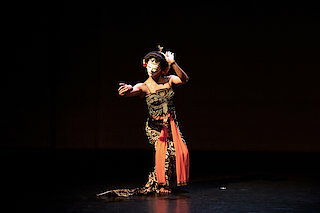 In one of these, Indonesian dancer Rianto displays masterful strategies of seduction in Javanese cross-gender dance and reflects on the tensions between traditional and contemporary choreographic practices of masculinity versus femininity.